A spectator writes a thought on the back of a business card and places it face down in the wallet. 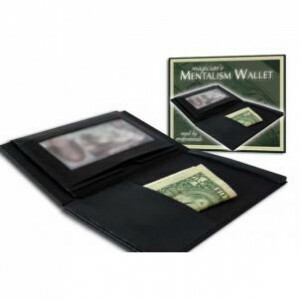 The wallet is closed and placed in the magician’s pocket. The magician can then tell the spectator his or her written thought! Preferred by professionals that do mind reading shows and close-up entertainment.